Time has just flown by for me! I completely lost track of VeganMoFo and ended up not posting at all after the first week. Well I hope next year’s going to be a more properly planned VeganMoFo for me. It was a good month though! I really enjoyed reading all the mofos, even if I didn’t comment a lot. Well this is the my first Daring Cooks challenge! 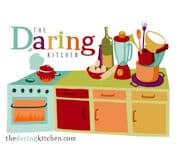 My Daring Bakers challenge was not so successful last time but this Daring Cooks challenge was really something that I enjoyed. I was pretty excited since the beginning of the challenge as sushi is something that I make at least 1 weekend in a month. And there was plenty of room for vegan ingredients. So, I was really looking forward to it. 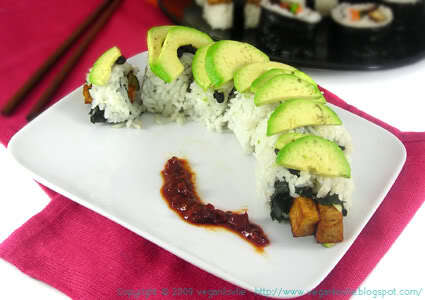 When I make sushi however, I always make it the same way – rolled with avocado, tofu and cucumber. 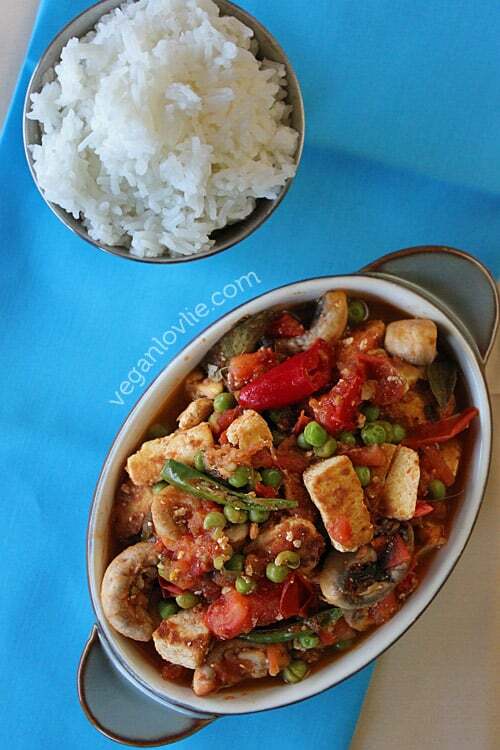 This challenge was very interesting as I actually cooked and seasoned the rice the way it should be. I also made different types of sushi as was required. Although quite time consuming, I really enjoyed this challenge and mostly enjoy eating these sushi. They were really tasty and will definitely take something out of this challenge! Dragon sushi roll – an avocado covered inside-out rice roll with a tasty surprise filling. 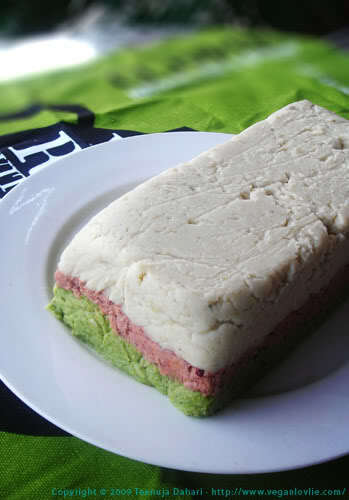 I used tofu (marinated in black bean sauce and lightly fried) for the inside filling and fermented black beans on the outside just before covering with avocado. I found the fermented dried black beans at the Chinese Store. They are quite tasty. Decorative sushi – a nori-coated rice roll which reveals a decorative pattern when cut. 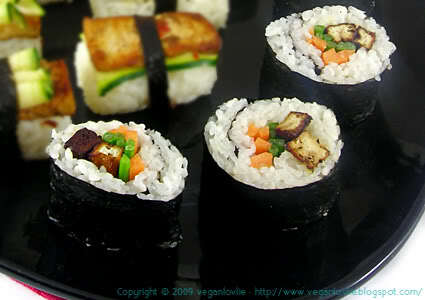 I used tofu (marinated in Guilin Sauce and fried), chinese chives, carrot and cucumber as filling. Nigiri sushi – hand-shaped rice rolls with toppings. 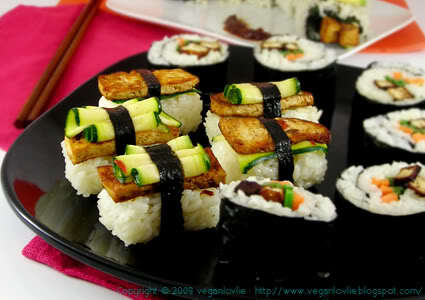 I used fried tofu again with pickled courgette slices rolled and secured on top of the rice with a strip of nori. For the pickled courgette (zucchini), I sliced them thinly using a vegetable peeler them marinated them while preparing the other ingredients in some rice vinegar, salt, sugar and chilli sauce. I think this one was my favourite! The pickled courgette added great flavour! All were very tasty and I was very satisfied with this challenge! Wow beautiful photos and very elegant sushi and I bet they were tasty and luscious. Very well done it really sounds like you enjoyed and learnt a lot on this challenge. Cheers from Audax in Australia. I LOVE sushi SO MUCH! 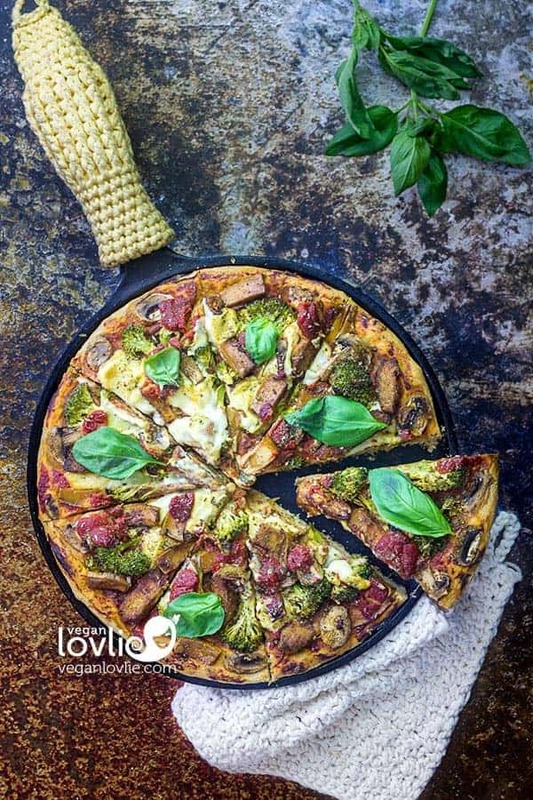 It is one of my all time favorite things to eat, it is delicious, healthy and gorgeous. Thank you so much for posting these beautiful pictures! WOW, your rolls look great! Woah. That sushi looks so freaking tasty! I am especially impressed with your nigiri sushi! Damm, even simple maki seems so pretty!